All our schemes vary but all our management teams have the same vision – to deliver exceptional care. 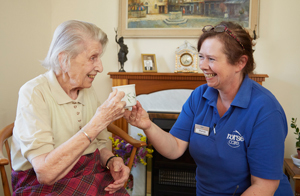 NorseCare have a number of different schemes, which include Housing with Care, Residential Care and Dementia Care Specialist schemes, providing various opportunities for Managers to manage within different settings. These opportunities are all subject to the condition that they provide exceptional care to the people who live with us. All our of our Management roles focus on ensuring our schemes are well-led, safe, effective and we have staff that care and are responsive to people’s needs. 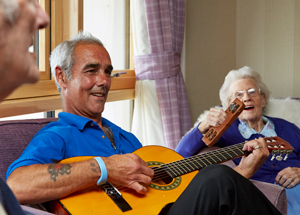 They ensure that person centred care is in place and our customer’s well-being is paramount. 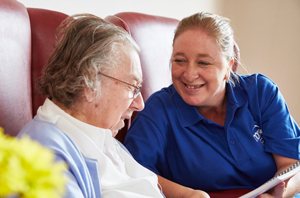 Managers ensure the health, safety and general welfare of our residents and tenants and they do this by recruiting and retaining great staff, working to ensure we deliver best value care within our policies and procedures. They also oversee occupancy, budget management and community engagement initiatives. We consider strong leadership skills essential for our Managers and support them to achieve this with ongoing development for themselves and their teams. Our Managers are extremely important to us and we take pride in their success, giving support to Managers when needed, to ensure they carry out their roles to the best of their ability. NorseCare have a commitment to community engagement and encourage all Managers to network within their local community. When recruiting Managers, we look for people who will be passionate about leading their care teams to achieve our vision and deliver care in line with our NorseCare values.